EUWIB aims to provide a range of opportunities for its members to network with each other, with external speakers and company representatives. Successful networking is a vital skill for life after graduation and career development. 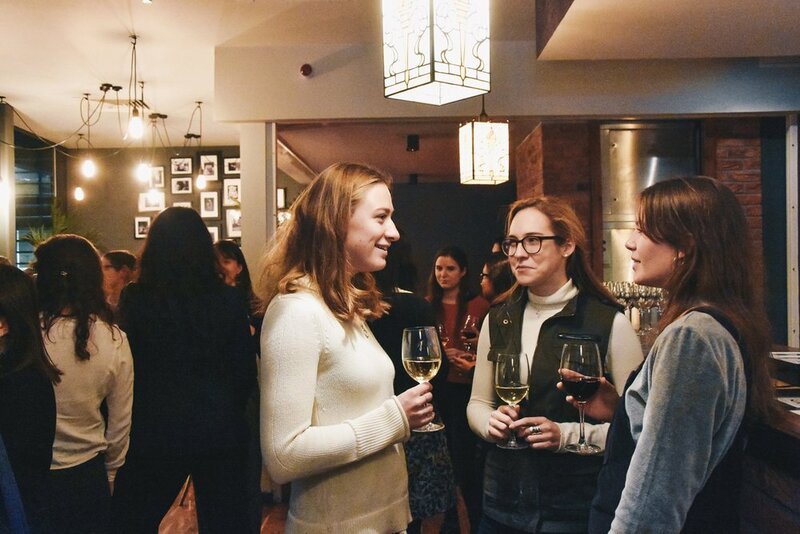 EUWIB helps their members to acquire the skills to build a strong network by connecting people with similar interests and ambitions. EUWIB aims to inspire all students by inviting along female business leaders from a variety of backgrounds, including public sector, journalism, charities, law, financial services, communications and plenty others! Through these inspiring connections, we look to encourage students to reflect on their own aspirations, qualities and interests with the aim to discover the career path that suits them best. EUWIB is dedicated to the creation of a community wherein students can speak comfortably with one another about their career aspirations and concerns. Our long term goal is to create an alumni mentorship scheme, where former members could stay in contact with the society through events, and an online presence. Want to hear more about EUWIB and the events we will be organising? You can also check all the upcoming events on our facebook event page.